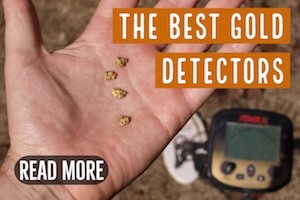 Southern Nevada doesn’t have as much gold as the northern and central parts of the state, but there are a few areas that do in fact have some gold. Searchlight is one of these places. Searchlight, Nevada is a small town situated in the Piute Valley of Clark County. The town is quite small today, and not much mining is currently going on here, but with the rich mining history, potential prospectors might find it a great place to search for precious metals. In this article, we will look a little deeper at Searchlight, Nevada and how the town came into being. 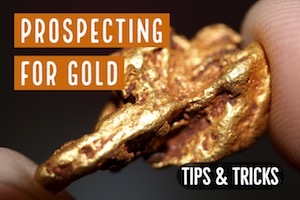 We will also look at some of the precious metals that many prospectors might still be able to find in this small town and whether it is worth the trip. Gold was discovered by a man named George Frederick Colton in 1897. He stuck a vein of gold ore and established the Duplex Mine. This attracted the attention of other prospectors and soon additional strikes were being made all around the Duplex Mine. This mine is basically right in Searchlight, and additional gold strikes were made north and east of the town. The Fourth of July Mountain was particularly rich, with additional gold strikes being discovered on the desert floor. The population eventually grew to be bigger than that of Las Vegas and also produced a larger income to the state for the short period of time. Between 1907 and 1910, the population was around 1500 people and it also produced close to $7 million dollars of gold and other precious minerals. Hardrock mining sustained this town for longer than many other mining districts, but just as with all mining towns, the ores began depleting and many of the mines shut down from lack of profitability. Searchlight started to decline rapidly and by 1917, the town was virtually empty. The Arrowhead Highway became the lifeline and helped the town to stay relevant as a stop for people to take a break. However, in 1927, the U.S. Highway 91 bypassed the town and the town eventually dropped to a population of only 50 people. In the 1930s and 1940s, the town had somewhat of a resurgence with the Hoover Dam being built. 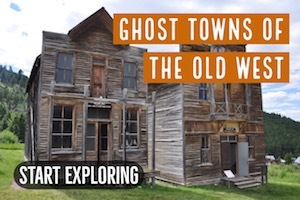 This also increased the population somewhat, but with the mining activities stopping in 1953, the town eventually became a ghost town. Searchlight has lots of surrounding BLM lands that are open to prospecting. 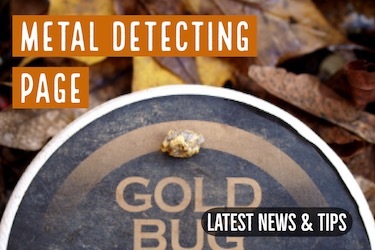 Many areas that have gold are unclaimed and open to explore. The challenge with mining the Searchlight area is that nearly all of the gold is tiny specks, locked up in the ore and not workable by traditional methods. Much of the gold is locked-up in sulfides and needs cyanide to release it from the host rock. A miner with a metal detector or a drywasher working a dry gulch in the areas isn’t going to be able to find most of the gold, even though there may be rich ores all around. Be respectful of the area. There are a lot of old mining relics in the area which are actually quite scenic and popular with photographers and ghost town enthusiasts. If you spend any time exploring around Searchlight, you are also going to find some open mine shafts. Be very careful around these shafts. You can carefully explore the surrounding area, but never go inside these old shafts unless you have the proper equipment and training. 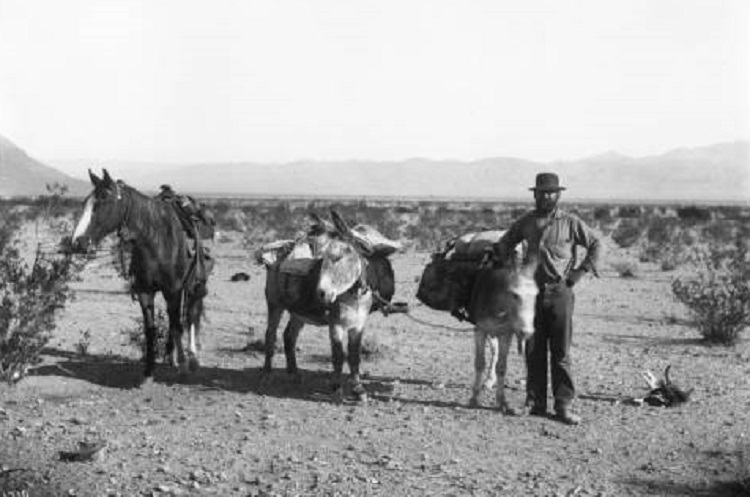 If you plan on heading to Searchlight for your prospecting, you should try to have some locals help and guide you. 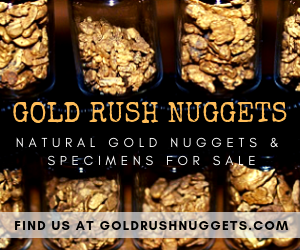 There are some gold clubs in Southern Nevada that you should get in touch with if you are serious about finding gold in this area. They will have good information about prospecting in Clark County and more information about gold in Searchlight. Searchlight in Nevada is a peaceful and quiet town that will definitely be a great breakaway for anyone looking to get away from the city. The town has a rich mining history and there are some neat places to explore. This is a great place to explore if you want to get out of Las Vegas and explore the desert. As for gold mining, with most of the gold being locked up in ore, there are better places to go for prospecting. The Colorado River has fine gold in it. Unfortunately most of the river is a park now and has banned prospecting. So even though there is decent gold in the river, it is off-limits. Most of the prospectors in this area will usually go over the border into Arizona. There are much richer placer deposits here. In particular, the desert around Kingman and Lake Havasu has some very good places to prospect. 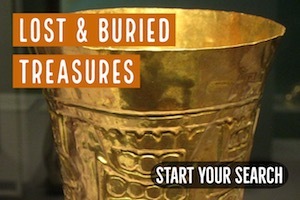 Gold Basin and the King Tut Placers are worth exploring.